[TORONTO] For the first time, astronomers have observed in visible light a cataclysmic cosmic event that generated gravitational waves detected on Earth. The event was the merger of two neutron stars in a galaxy 130 million light-years away. The merger resulted in a supernova-like explosion, the light of which was first observed by a team of astronomers at the Carnegie Institution for Science’s Las Campanas Observatory in northern Chile. The breakthrough discovery of the visible counterpart of a gravitational-wave-triggering event marks the start of a new era in which astronomers can study cosmic phenomena using both gravitational wave experiments and traditional telescopes. The discovery also sheds light on the nature of neutron star mergers, and provides insight into the origin of heavy elements such as gold and platinum—insight which has long remained elusive. The team includes Carnegie-Dunlap Fellow Maria Drout, from the Dunlap Institute for Astronomy & Astrophysics, U of T, and the Carnegie; along with astronomers from the Carnegie; the University of California, Santa Cruz; and other institutions. Scientists from the Laser Interferometer Gravitational Observatory (LIGO) and Virgo experiment detected the gravitational waves on August 17, 2017. 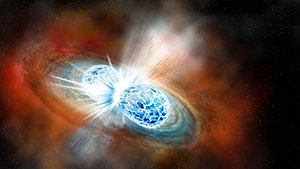 They determined that the signal was the result of a binary neutron star merger—a first, as all previous detections were of binary black hole mergers. 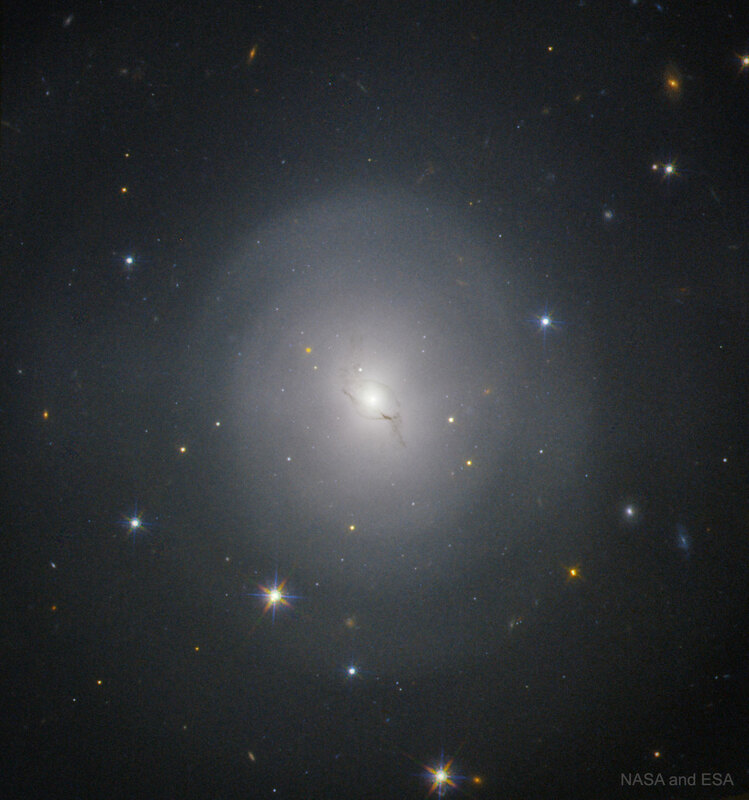 An image (r.) taken on August 17th with the Swope Telescope at the Las Campanas Observatory in Chile shows SSS17a (arrow) in the galaxy NGC 4993. 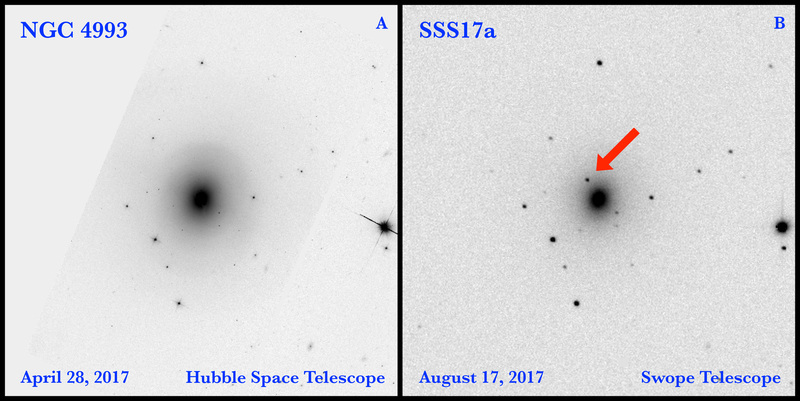 An image (l.) taken on April 28th with the Hubble Space Telescope; the neutron star merger has not occurred and SSS17a is not visible. Image: D.A. Coulter, et al. While astronomers don’t expect to see a visible counterpart to a binary black hole merger, they do when two neutron stars come together. So, when LIGO/Virgo scientists narrowed down the location of the event to a patch of the southern sky the size of over a hundred full moons, they notified the team of astronomers—and the search was on. But, it was still daytime in Chile which, for Drout and her colleagues, meant a ten hour wait until sunset. Plus, when the sun finally set, the search area was nearing the horizon. The astronomers began recording images of galaxies within the target area according to a careful search strategy they had prepared during the day. They brought to bear three telescopes at Las Campanas: the Swope and two Magellan telescopes. As they obtained images, the collaborators compared them with archival images of the same galaxies. The astronomers had found what they were looking for: a bright, star-like object, designated SSS17a. 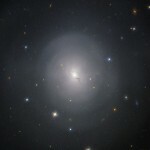 It was located in a galaxy identified as NGC 4993 and had not been visible in archival images. Further confirmation came from analysis led by Drout. It showed that aspects of the brightness of SSS17a were unlike any explosion that had been previously observed by astronomers. SSS17a was about as bright as a faint supernova, but its brightness decreased faster than a typical supernova, and it became redder and cooler at a faster rate than a typical supernova. Follow-up analysis also supported the theory that most of the heavy elements in the Universe, like gold and platinum, were created in neutron star mergers and not in supernovae. This strongly suggests that these heavy elements were synthesized following the merger, solving a decades-old astrophysics question about how all the heavy elements in the Universe were forged. 1) The gravitational wave event detected on August 17, 2017, is identified as GW170817, and is different from the black hole merger event detected on August 14, 2017, announced in September, and identified as GW170814. 2) The National Science Foundation (NSF)-funded Laser Interferometer Gravitational-Wave Observatory (LIGO) detectors are located in Livingston, Louisiana, and Hanford, Washington; the Virgo detector, funded by CNRS and INFN, is located near Pisa, Italy. 3) Authors of the papers related to the discovery of SSS17a include astronomers from the University of Toronto’s Dunlap Institute for Astronomy & Astrophysics; Observatories of the Carnegie Institution for Science; University of California, Santa Cruz; University of Hawaií; University of California, Berkeley; Lawrence Berkeley National Laboratory; Pennsylvania State University; Universidad de La Serena; University of Copenhagen; Space Telescope Science Institute; Universidad Diego Portales; Millennium Institute of Astrophysics; Johns Hopkins University; California Institute of Technology; Universidad Nacional Autónoma de México; University of Victoria; NRC Herzberg Institute of Astrophysics; Universidad de Valparaíso; Texas A&M University; University of Notre Dame; University of Sydney. The Dunlap Institute for Astronomy & Astrophysics at the University of Toronto is an endowed research institute with over 70 faculty, postdocs, students and staff, dedicated to innovative technology, ground-breaking research, world-class training, and public engagement. The research themes of its faculty and Dunlap Fellows span the Universe and include: optical, infrared and radio instrumentation; Dark Energy; large-scale structure; the Cosmic Microwave Background; the interstellar medium; galaxy evolution; cosmic magnetism; and time-domain science.